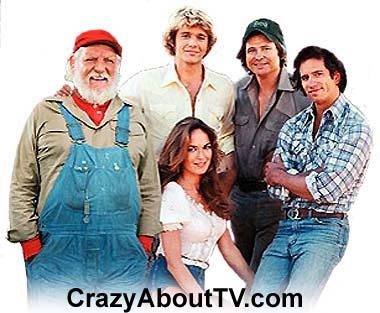 The Dukes of Hazzard TV show was a 60 minute comedy series that aired on CBS. The man in charge of Hazzard County was Boss Hogg. He had the Sheriff in his pocket and had something on just about everyone else. He couldn't rule the Dukes though no matter how hard he tried! Hogg's henchmen just weren't anywhere near smart enough to catch Bo and Luke Duke so they did pretty much as they pleased. The Sheriff's department's vehicles were no match for the Duke boys' car either. They just ate the Dukes' dust! They tried to catch them but they nearly always ended out in a crash. If the Sheriff blocked them, they'd always manage to simply jump over the squad car! Good ole boys thumbing their noses at corrupt law enforcement made for a really entertaining show! Fightin' the system like a true modern day Robin Hood.. Thank you for visiting our Dukes Of Hazzard TV show page!